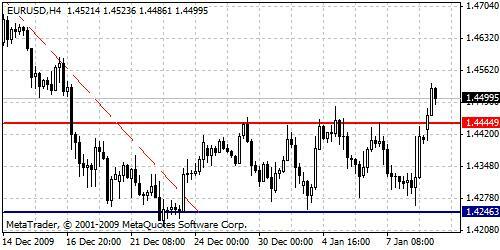 EURUSD bulls did show their strength by breaking significant resistance barrier at 1.4444 price level. Above this level, bulls are looking forward to extend their current movement. However, neutral situation is still active for this pair, no trend is established yet.